Dientje with her doll, Anneke Pop ("pop" means doll in Dutch). This doll was the only thing that Dientje was able to keep during the war in hiding. 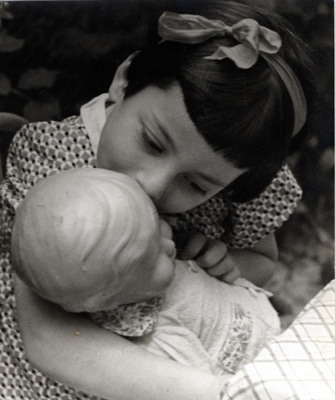 Six months after the war she was reunited with her parents, and later her mother threw the doll away. 1942, in Matje LeFebre's house, one of the first places Dientje went in hiding.